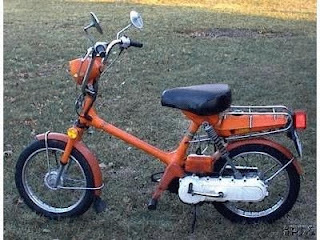 What does a Honda Express Moped look like? Need a Honda Express NC 50 Manual? What type of OIL should I use in my Honda Express Moped? 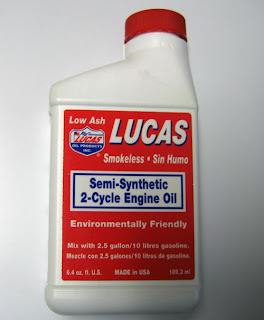 "Lucas Semi-Synthetic 2-Cycle Racing Oil's high performance, low ash formulation is made especially to meet the needs of high performance racing engines. It's suitable for use in air-cooled or water-cooled or water-cooled two-stroke engines. It's clean burning "smokeless" and helps to reduce carbon build-up. Prevents piston burning, spark plug fouling, ring sticking and corrosion caused by combustion residues." It comes in a variety of sizes and can be purchase at your local Auto-Zone or PepBoys. I need a Headlight / Bulb for my Honda Express nc50! NC50 - Honda Express - 1977-1983 Yrs. 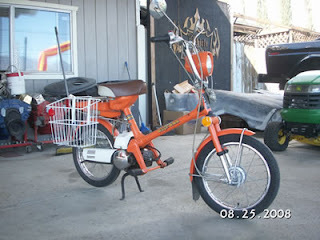 NA50 - Honda Express - 1979-1981 Yrs. PA50 - Honda Hobbit - PA50 I & PA50 II Model's - 1978-1983 Yrs. 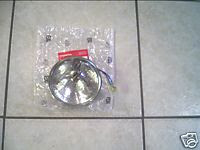 Purchase an over-priced headlight - cost $64.99 (+$15 shipping) OUCH!. You can seach it on Ebay: CLICK HERE. "Convert" the headlight yourself - cost $2.99 for bulb (+time spent soddering). Some people have had success and others have said it's too much work. You decide, but it is the cheapest option. "I have tried the honda express headlight repair and i don't recommend it. while it is true that you can swap bulbs, you must first remove the old bulb, cut out some of the sheet metal so the new bulb will fit through, and then put in the new bulb the problem i have found is that the original bulb is much taller than any replacement bulbs i have have found, and that severely affects the focus of the light. the original bulb is tall so that the light source sits and the "focal point" of the convex reflective surface, which means that the headlight beam is in the proper focus. when you put in a shorter aftermarlet bulb, it does not sit a the correct position (the focal point) and thus the headlight beam is not at all focussed and you get this very wide beam that spreads out all over the place but is not very bright. you don't need a large, spread out beam - you need a small focussed one that is bright. for that reason, i have decided to cough up the $ and buy the factory headlight." 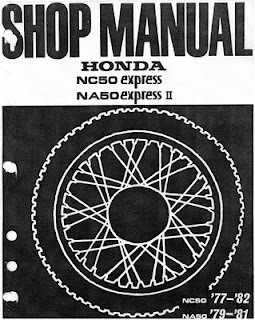 This is the official 1977 to 1983 Honda NA/NC 50 Express Factory Service Manual. It provides service, repair and maintenance information for 1977 to 1983 Honda NC50 Express moped/scooters, 1979 to 1981 na 50 Express II models as well. Contains complete information on servicing your motorbike machine including wiring diagram, special tools, and troubleshooting information. NOTE: This original book is out of print and available as a high quality reproduction only. Expressly Honda Forum - It is FREE to register and has BOAT... I mean BOAT loads of information on Honda Express models. This website has everything from Honda Express repair to sales. The content is user driven with comments and postings. The moderators are good and people post lots of great pictures. When I first got my ped, I posted to someone whom I thought had a similar problem. It turned out the problem was with my moped's carburetor and not fuel line or air filter. They responded same day! Ahhhh... good old Wikipedia. This will probably be the first result that comes up if you Google "Honda Express". Nice resource. 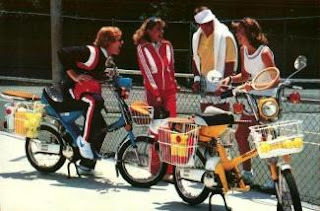 Give you a little background into how the Express first made it onto the moped scene and why. 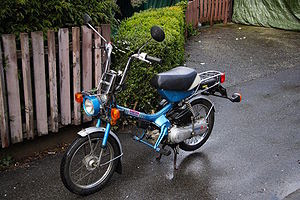 "The Honda motorcycle corp. of Japan released the Honda Express (NC50) to the North American market in 1977. 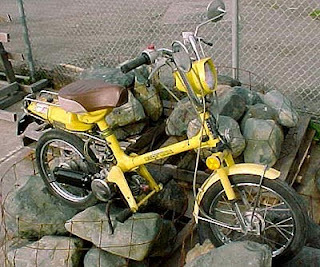 This new bike was designed to enter the large market for mopeds that developed following the 1973 oil crisis. 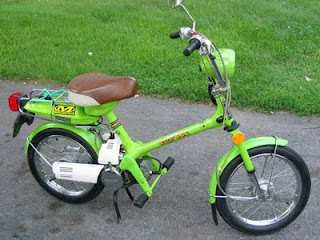 As such it came with a fuel efficient single cylinder two-stroke engine. It was also designed to be simple to operate, as many owners would be inexperienced with or intimidated by larger, more complex motorcycles. Honda accomplished this by using a fully automatic transmission and a small oil pump to self mix the Express's oil and fuel, thus eliminating the need for premixing."